Full Back-end Web Control Panel Access. Sell Private Label Services for Pc2Phone, VPN, Web Callback, Click2Call, Mobile Dialer, VoIP Device (ATA), SIP Phones, DIDs, Call Shop and more. Just pay for the app you need! Web Signup Form available as additional feature. Mobile Phone Dialer APP You can use our service with third-party mobile phone dialers. We have tested using third-party mobile dialers on windows mobile smart phones. Please contact support if you wish to setup your own private label mobile app. You can setup your own global phone number (did) and forward it to your phone or elsewhere. Sell wholesale minutes to your customers under your own brand. Just download the demo phone and make calls using the account id and password. The generic softphone is already pre-configured to work with our server. The EZ VoIP APP will work on windows computers. If you need your own private label softphone, please contact support for details. If you wish to use Linksys PAP2T, you can use our automated script to configure your phones. Please click here. This allows access to our Automated Globalink Voice Attendant (similar to an internal calling card system). A client can dial this virtual number or extension and connect to our Automated Globalink Voice Gateway. Each callshop station (voip device registered to the server) can dial a number (hotline) enter the pin and make calls!! 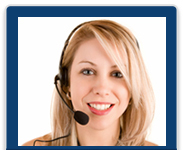 Custom Third-Party Callshop software booths is also available for a monthly fee. It runs on top of our PortaBilling Platform. This is a simple to use third-party callshop interface so that you can generate pins and be in business in no time. We can customize the software with your logo. Please click here to read more about EZ CALLSHOP. This special reseller offer is designed for international resellers who want to offer international voip vpn and web callback services. It includes a high-tech vpn software for windows xp, vista and windows 7. The vpn tunneling software will allow you to offer voip in countries where standard voip services are restricted. Resellers can setup their own accounts and manage them online.